I’m perfecting the weeknight single person meal these days. Nothing speaks “I need Friday” more than rushing home to open a bottle of red wine and make a simple dinner. 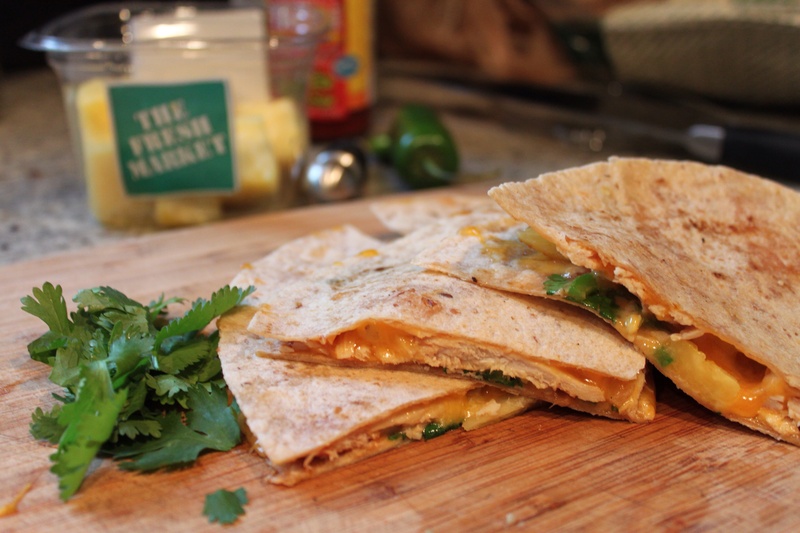 Last night, I put together a Easy Chicken and Pineapple Quesadilla with all store bought items from The Fresh Market. Whole wheat tortilla, a rotisserie chicken breast, precut pineapple, cilantro, jalapeno slices and a little BBQ sauce or hot sauce. It was no work of art, but hot the spot after a long week and lean towards Friday. TGIF!